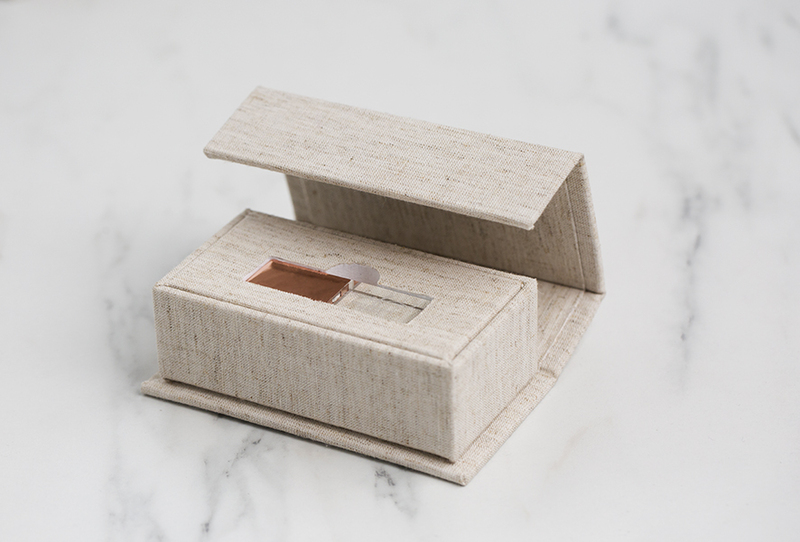 Our Luxe Fabric USB Box offers an elegant and luxurious delivery for digital images and media files. Wrapped in high-quality fabric with a velvet insert to hold one Crystal Flash Drive. FREE engraving is available. My brides love these USB boxes with the crystal USB. 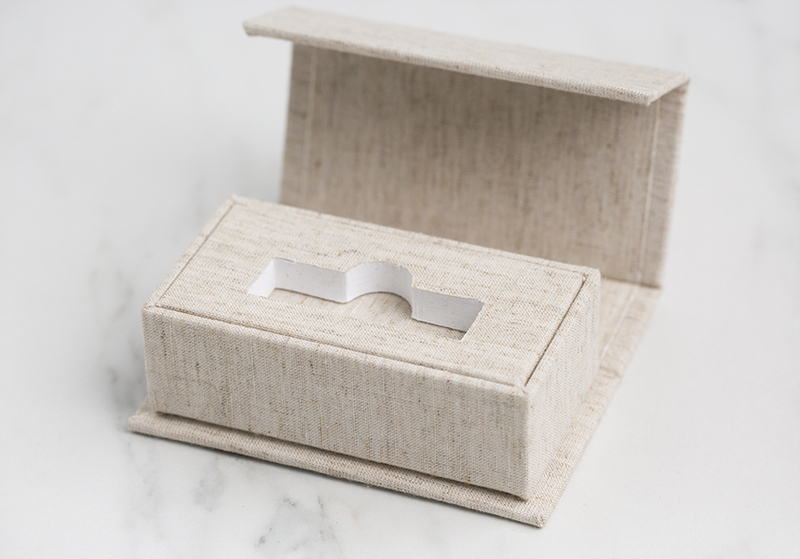 Rate our Luxe Fabric USB Box.